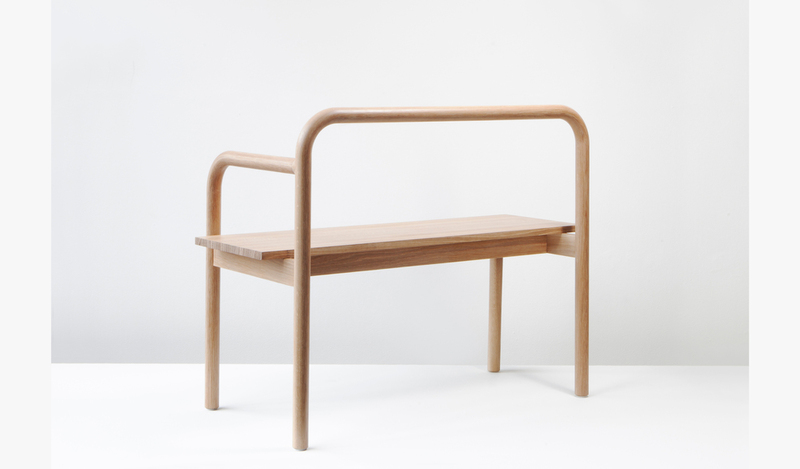 The design of the Maissi Bench was inspired by old stair handrails and industrial machinery parts. The curved elements are made by laminating thin strips of oak over molds and routing them into cylinders. Seating two people comfortably, its narrow profile makes it equally suitable to living rooms and entranceways.